The Howling WolfHeart: Marauder's Map Giveaway! 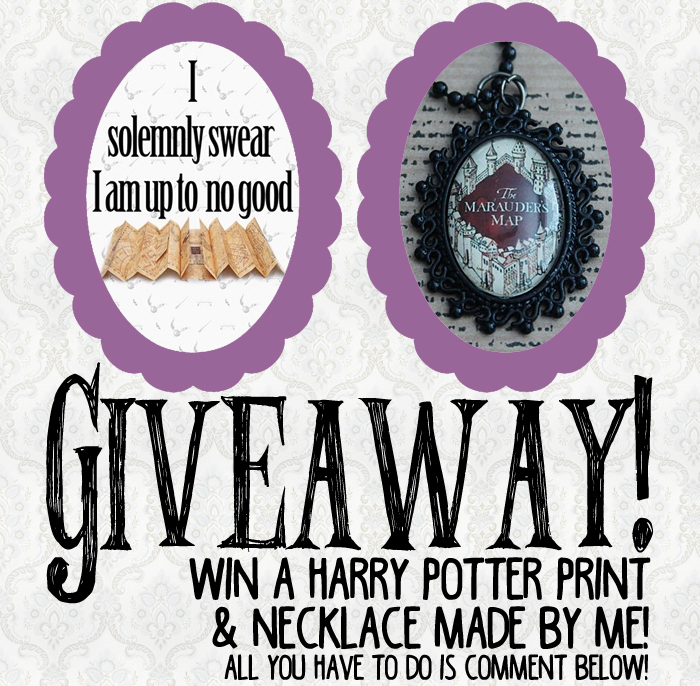 It's been a long time since I had a giveaway and will be the first time on this blog so thought it was about time! First theme out is Harry Potter and more will come! ^^ You have the chance of winning a 10x15cm Print designed by me along with a Handmade Necklace also made by me! All you have to do is comment below! A winner will be randomly chosen and it doesn't matter where in the world you live! Ending Friday 17th of April! This is awesome! The Maurauder's Map is one of my favorite things from Harry Potter! I'm SO in its insane 😄 so pretty! Oh my goodness! I am a huge potterhead!! What a lovely giveaway! I've loved Harry Potter for such a long and visited the studios last year! Thank you for such a great giveaway!